I put together this recipe based on a dish I had from a restaurant! Cook the rice as directed on package. 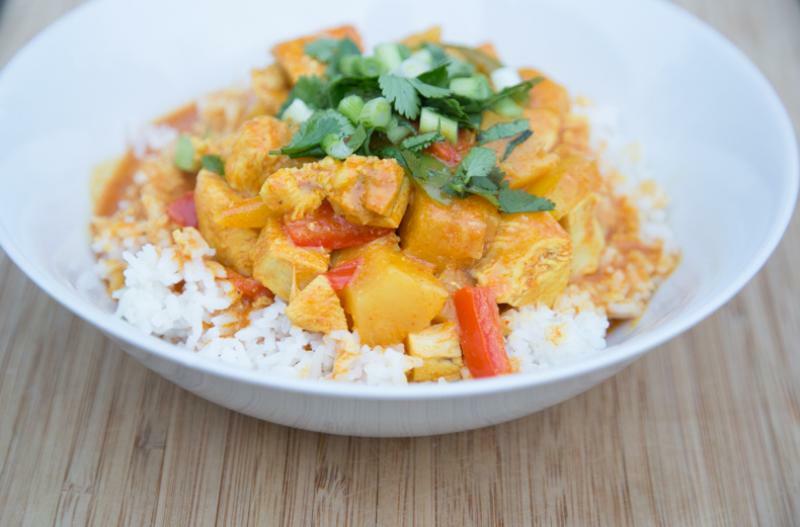 In a large saucepan or skillet, whisk the coconut milk, curry paste, curry powder, ginger, and garlic powder. If your coconut milk has separated in the can, it will become smooth again when it heats up. Stir in the pineapple, bell pepper slices and pieces of chicken. Let cook over medium low heat for about 15 minutes, allowing the chicken to cook through and the flavors to mingle. 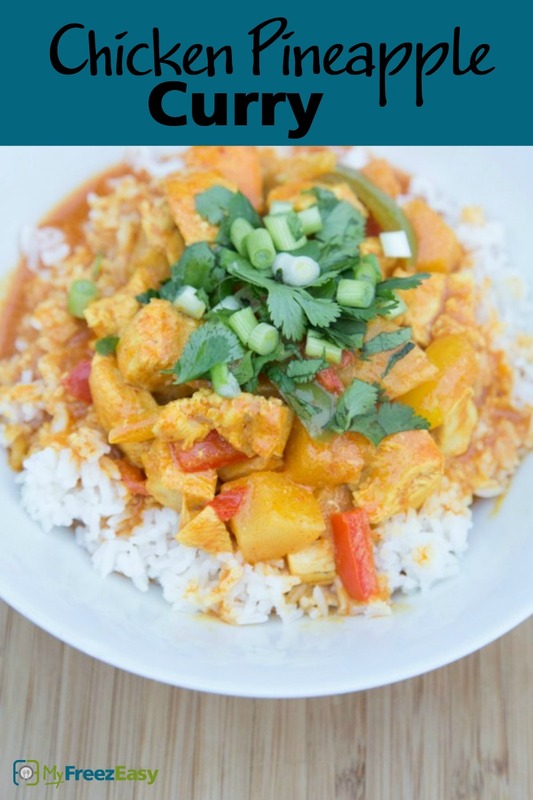 Serve Chicken Pineapple Curry over rice with cilantro and green onion garnish. Cut 4 boneless, skinless chicken breasts into 1/2-inch pieces. Slice 1 orange & 1 yellow bell pepper. Open & drain 2 cans pineapple chunks. If you wish to make a thicker curry sauce, you could use a 15 oz. can of coconut milk and a 15 oz. can of coconut cream (near the coconut milk). This is NOT the same coconut cream that is on the alcohol aisle. Recipe is gluten free when served with gluten free sides. Add to the skillet. Bring to bubbling and then reduce to low and simmer for 20 minutes or until chicken is cooked through.